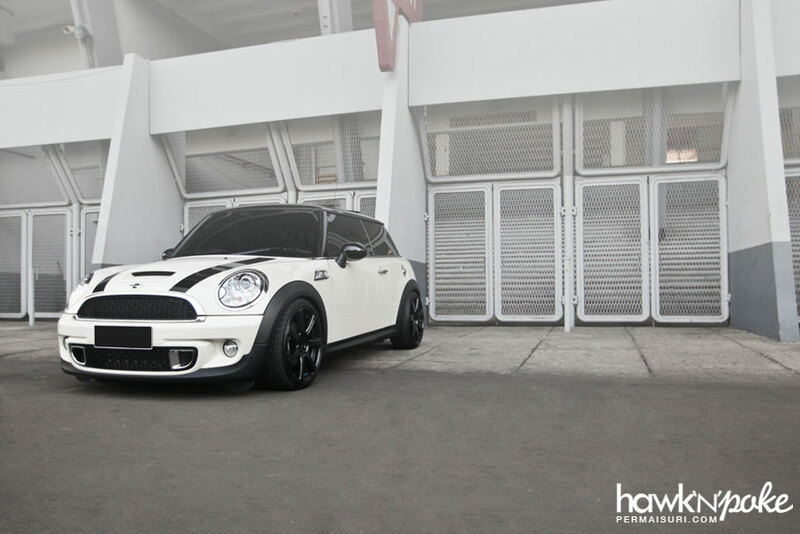 Today is Permaisuri Thursday and I’m bringing you this nicely lowered Mini on Work Emotion wheels done by the shop. 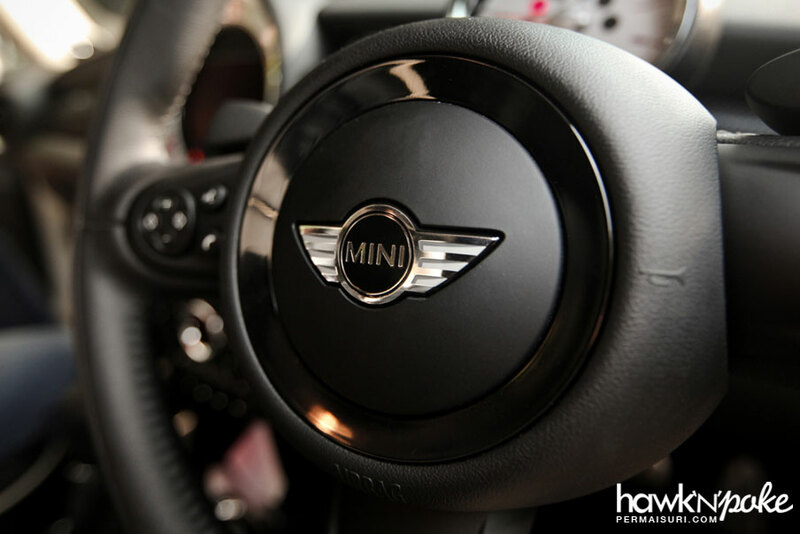 Despite the large variety of Mini models available nowadays, the original form factor is still one of the most popular model. Yes it has grown a lot in size, has now been designed by an American, and owned by a German company; but a lot of the original 1960s ideas of the Mini are still intact. 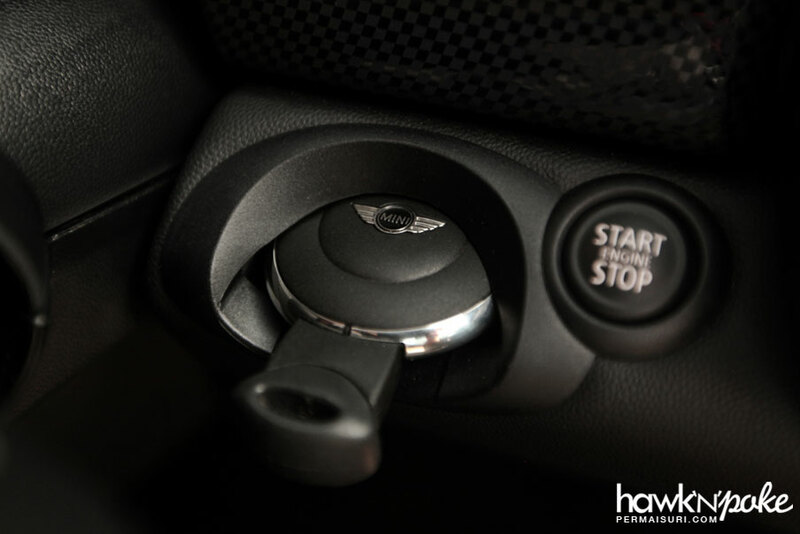 It is essentially a car that’s compact on the outside, yet comfortable in the inside, and comes with plenty of OEM customization options. It’s a car that has such a strong heritage that a large variety of people is owning one, from new drivers to movie stars. 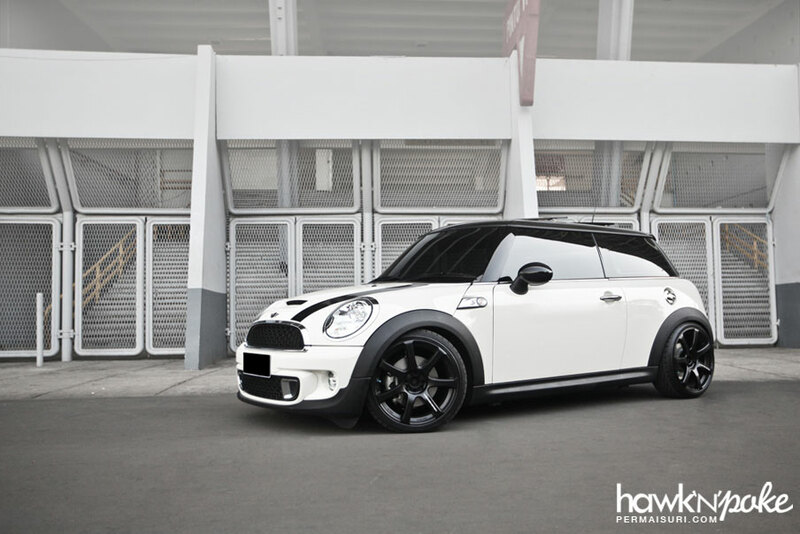 Today’s Mini has been fitted with KW Suspension coilovers to improve the handling of the car while getting a nicer lowered look. “Eliminating those ‘evil’ wheel gaps,” as they usually say. 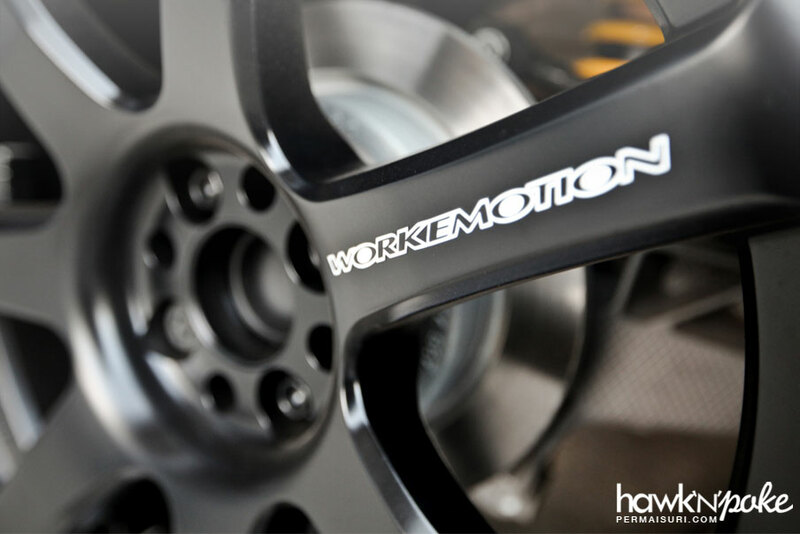 The Work Emotion XT7 wheels are ordered in black colour to complement the black and white theme of the Mini. 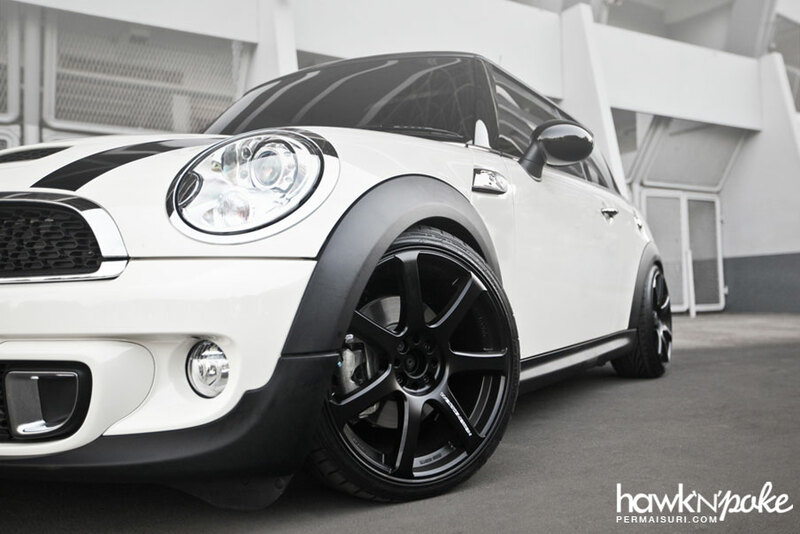 While in the topic, black wheels seem to be increasing in their popularity these days. 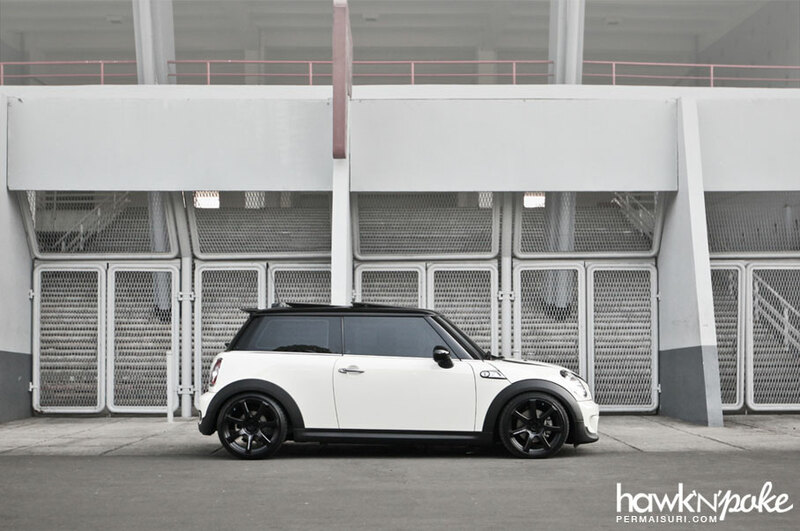 In past 10 years or so, people using black wheels are usually those who bring their rides to the track. 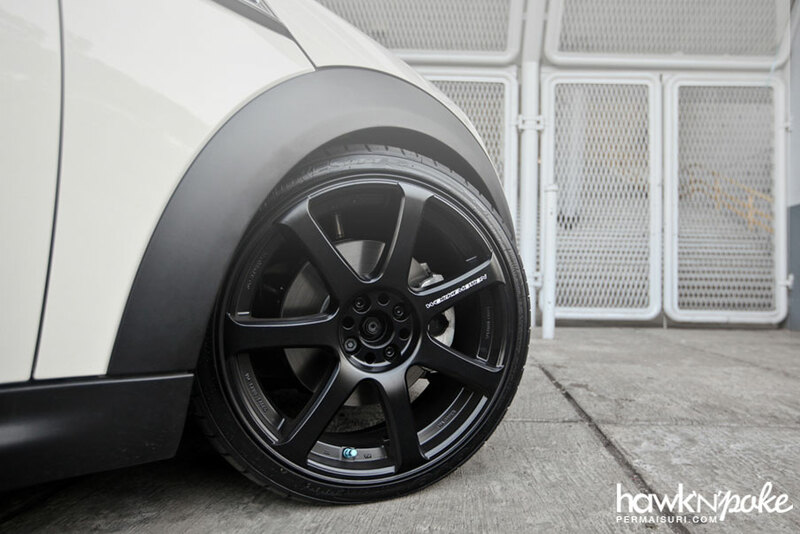 Black wheels used to be associated with being cheap, less susceptible to scratches and easy to maintain; thus making black the perfect colour for track wheels. 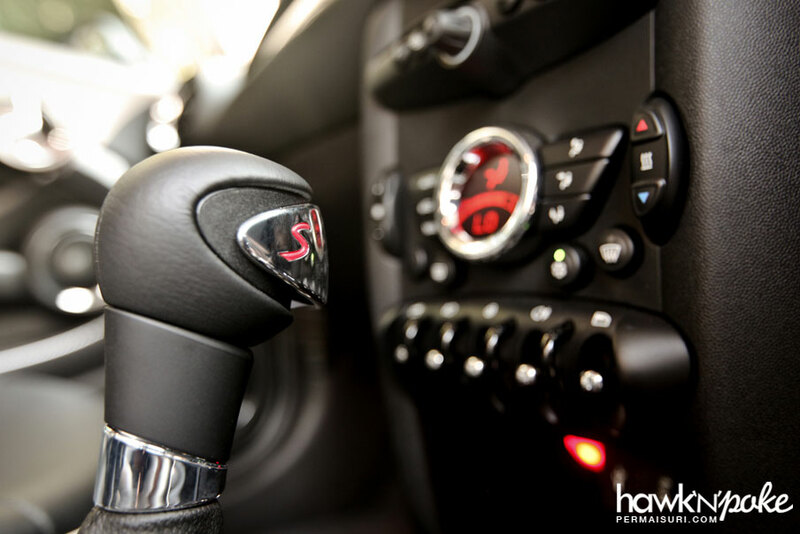 However, nowadays, the black colour, both glossy and black finishes, has increasingly been fitted to even daily driven rides. I guess it’s the track-oriented image and ease of maintenance are what people looking for. 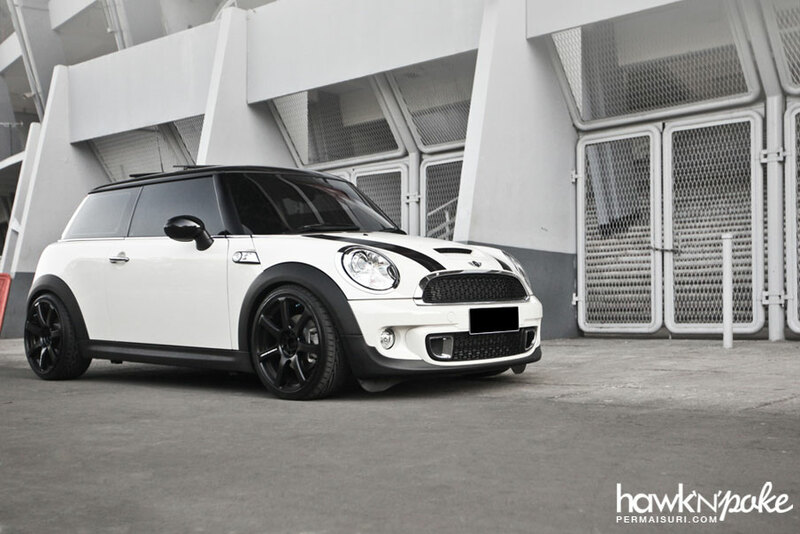 Complementing the track-tamer look of the car, the owner has also installed the famous Akrapovic exhaust system. This Slovenian company has been renowned for producing high quality titanium and carbon fibre exhausts for motorcycles and cars.